Why should I do this self rescue for climbers course? You have climbed outside and lead severe grade. You want to climb on longer, bigger more committing routes. Maybe you want to climb on sea cliffs. 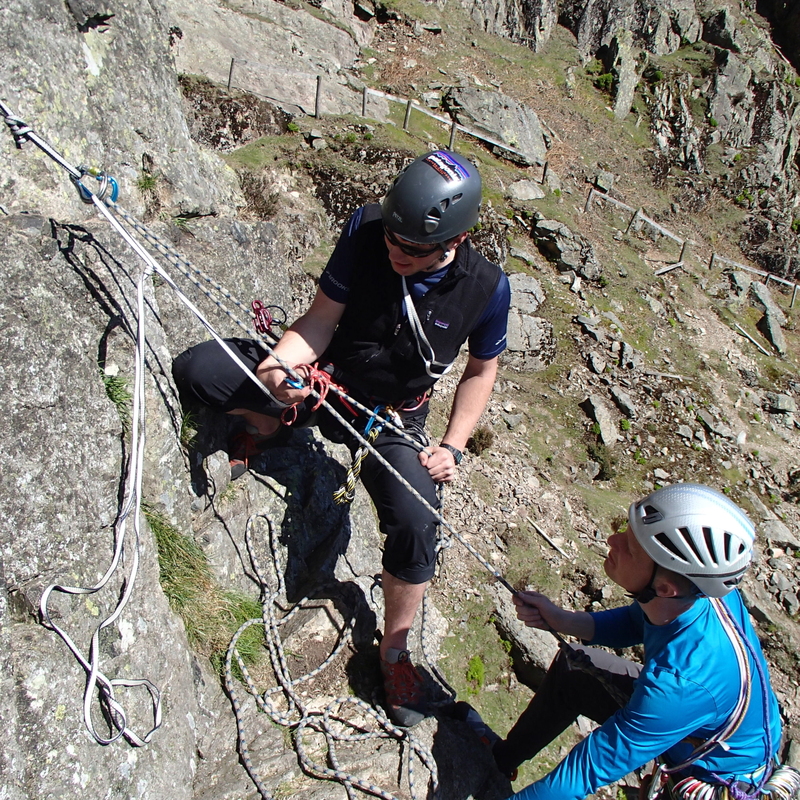 We cover many skills from how to rig a safe abseil into a sea cliff, to how to escape the system and go for help. We will chat to you and find out what you already know and take you from there. Many simple systems and skills can help you out of a difficult situation. assisted and unassisted hoists. Prussiking up and down ropes. Tandem abseiling. You must be a competent climber at grade severe or higher. We run this course at a 1:2 ratio due to the technical nature of the terrain and routes we will be. We provide all technical kit for the activity. We would advise you to bring your own lead rack and ensure you have good working 6mm prussiks and maybe a rope man. Contact us prior to the course for more info. You will need a packed lunch, waterproofs, spare jumper, walking boots or similar and rucksack. Rock boots harness helmet and your normal outdoor leading kit. We offer this course on dates to suit you. Therefore can tailor each course to your experience level. We offer this as a 1-day course but we can easily make this longer. Please get in touch to chat through how long you would like to spend. Price per day per instructor. The course is non residential and here is a list of suggestions for accommodation to suit every pocket. You will need to travel to and from the course but we can provide transport during the course. We therefore suggest you book accommodation in, or near Ambleside.